Skeptic Books for Children! Holiday indoctrination! As a skeptic mom and skeptic preschool teacher, I found there were few truly good skeptic books for young children. It was actually easier to find non-fiction, including several books on the Big Bang geared toward preschoolers. Fiction proved more difficult. Of course the best skeptic children’s story ever is “The Emperor’s New Clothes” but other than that I had to do a lot of hunting around to find stories that taught critical thinking skills. I started making up my own skeptic fiction stories for young children, and the result has been two books. Both are published with the ulterior motive of raising money for good skeptic causes, especially children’s education. The first book “Zigge and Lisa Skeptic Friends” is the SAFE book. Skeptics can give this book to their most ardent over the top tea bagger fundamentalist relatives children and it will be fine. The critical thinking and skepticism is not overt, but the kids will be “indoctrinated” just the same! The second book “Fairy Tales, Fairly Told” (with a fore word by James Randi) is far more open in the skepticism. It was written for skeptic and atheist parents, so they could pass on their beliefs ( or lack of beliefs!) in an open way few books can. 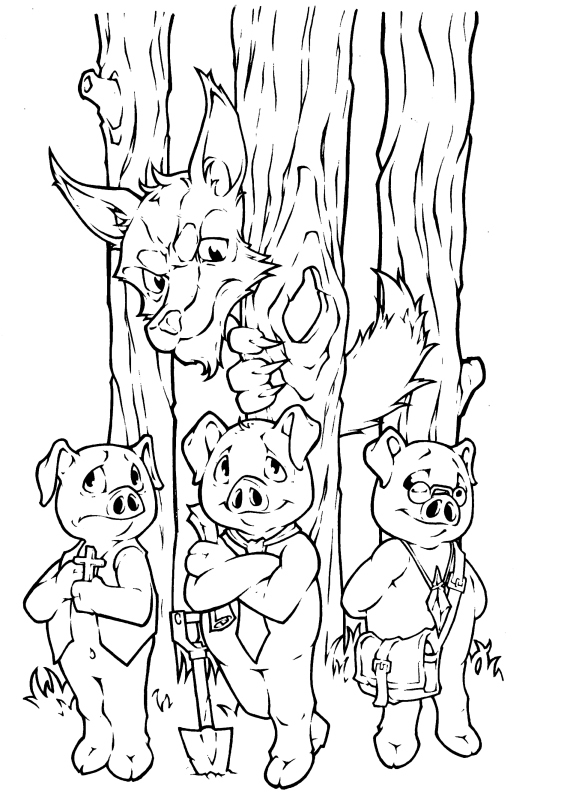 I have heard from many parents how the story of the “Three Diverse Pigs” has been a huge hit with children that say “Wow, that’s like us!” One pig is an atheist, and guess which house he builds? Adults tend to enjoy Rapunzel being a lesbian, though at no point does anyone in the story make a HUGE deal out of it. This was because the lesbian parents I know are unhappy with the dearth of books for children that seem to say “You have two moms, but it’s alright!”. They simply wanted a story where being a lesbian was not a big deal. I hope you will consider ordering one of both of the books as we head toward the holidays! As always, the money goes to a great cause, skeptic education! Guess which pig is the atheist?